Announcement Why the new name? Read below to see why we went from Onkie Bazoobie to Sawtooth Ridge Woodworks. 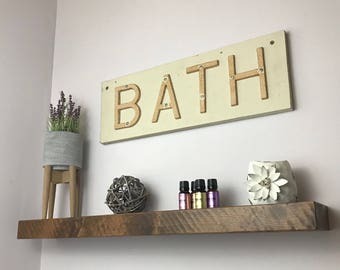 Once a sweet craft brand and the first to offer paper covered personalized picture frames on Etsy, now a thriving woodworking business that beautifully crafts functional home décor. We’ve had quite a bit of change and growth in the last couple of years and had no idea we’d be where we are today… both figuratively and literally. If you've been following us on social media then you know over the last couple of months we made a huge move from the mountains near Leavenworth to Twisp in the Methow Valley. It is with much love and consideration, we have decided to retire our name as Onkie Bazoobie. Moving to new area we want to connect with our new community and have our name reflect who and what we are as makers. The best part of our new woodshop is most definitely the view of the Sawtooth Ridge high in the distance all the way to the valley floor where the Methow River runs fiercely past us. 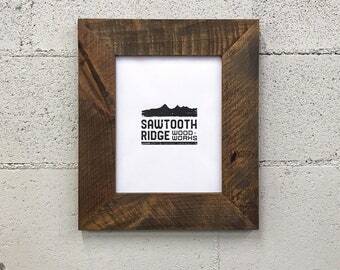 So without further ado, we’re excited to introduce to you our new name…Sawtooth Ridge Woodworks. Still the same two folks working hard side by side, still the same high-quality crafted home goods and superior service. We hope you love our new name and logo as much as we do. Quality and excellent service are our priorities, always. Everything in our shop is 100% handmade by the two of us. Thank you for supporting our small business! We hope to make you something you love. Sign up for our email list and be the first to know when a sale event is coming and when new product is being released. We’ll give you 10% off your next order when you join! Why the new name? Read below to see why we went from Onkie Bazoobie to Sawtooth Ridge Woodworks. These are incredible. Perfect finish, edges, etc. They are so great that I cannot wait to find another space to put more shelves in so I can order more. 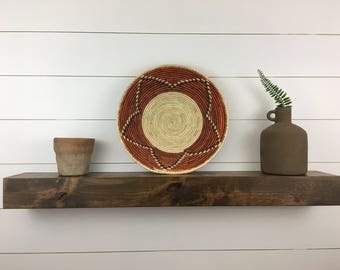 Attractive addition to any room that has some rustic flair. These were much lighter than I anticipated which was an additional plus. Wide enough to hold a variety of small knick knacks and frames. Highly recommend!! I will upload photo nice we put up frames. They are so beautiful! Order one of our Picture Frames at 10% off by end of day Thursday (the 24th) and receive it by Valentines Day! Is it time to update your living room? 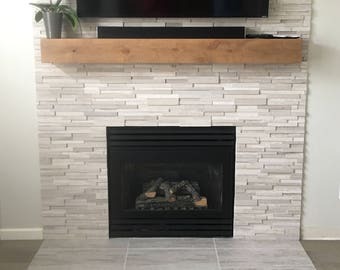 It wasn’t always our plan to become woodworkers and we’ve both had other paths in life, but sometimes the path changes and you just have to follow it. The name Sawtooth Ridge Woodworks was born out of the incredible view we’re fortunate enough to peer out at right from our shop door. Sweeping views of the Sawtooth Wilderness towering over us all the way down to the valley floor where the Methow River runs fiercely past us. We are constantly inspired by our surroundings. Continuously evolving as people, partners and as makers, we’re always looking to improve and fine tune our skill. We never ship out an item we wouldn’t want to receive and have a deep sense of gratitude to all our customers new and returning…We wouldn’t be able to pursue this passion without your support. We always strive to give you the best service and communication throughout your ordering process to ensure you are happy with your purchase. In the event that you feel the need to return or exchange an item, please read our return policy below. Custom or Standard Orders may be cancelled within 24 hours of placement with no cancellation fee. Any Custom size Rustic Wood Home Décor items are non-returnable, non-refundable and non-exchangable. No exceptions. Standard orders cancelled after 24 hours will be charged a 50% cancellation fee of order total. We do not accept Returns or Exchanges on ANY custom sized items. No exceptions. 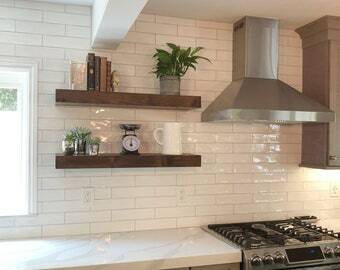 We do not accept any Returns or Exchanges on our Mantels, Large Floating Shelves 60" and longer and Vanity Mirrors. We do offer a listing to purchase color swatches if you are unsure of what color to choose. Please keep this in mind before ordering. Any of our other standard offered sizes may be returned for a refund minus shipping charges as well as a 20% restock fee. Customer is responsible for return shipping costs and must initiate return request within 3 DAYS of receiving order, no refunds will be given after the 3rd day. Items must be returned in perfect condition in order to receive refund. Standard sized items (with the exception of mantels, larger shelves and vanity mirrors) may be exchanged with no restock fee, customer is responsible for shipping both ways. Customer must initiate exchange within 3 DAYS of receiving order. No exchanges will be allowed after the 3rd day. We assume no responsibility for items damaged while shipping back to us. In the case something is damaged, it is up to the customer to file a claim with the shipping carrier. We highly recommend insuring your items when shipping back to us! *Please read the listing details to avoid any confusion when ordering items. For any additional questions never hesitate to contact us. I accept payment through PayPal as well a credit card. Please make sure that your address on PayPal matches the address that I will be shipping your item to. In the event they don't match and your item is returned, buyer incurs all costs associated with re-shipping the item. ALASKA AND HAWAII BUYERS: We are happy to ship to these locations. Please contact us for shipping quotes, as they will be higher than our standard U.S. shipping fees. If you place your order without notifying us we will contact you and send you a listing with additional fees for shipping. Thank you for understanding. 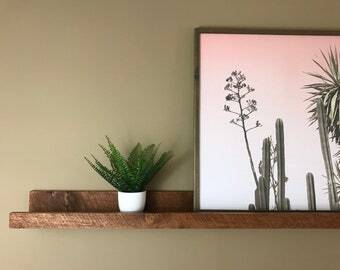 All Rustic Wood Picture frames, Rustic Mirrors and Floating Shelves will ship FEDEX Home Delivery/Ground which typically delivers in 5-7 business days. We do not ship these items to PO Boxes. If you provide a PO Box we will have to charge the extra shipping before we ship your item. (Please contact me for expedited shipping and costs). *Domestic only at this time. All other items ship USPS Priority Mail which typically delivers in 2-3 business days within the US.